During the spring and summer, there is no lovelier spot along the Connecticut River in Massachusetts than the Porter-Phelps-Huntington House Museum in Hadley. Located just five miles west of Amherst center, it is a graceful setting reminiscent of New England’s Colonial age: a large, sturdy house built in 1752 (with no structural changes made on it since 1799), surrounded by protected farmland, forest and, of course, the river. 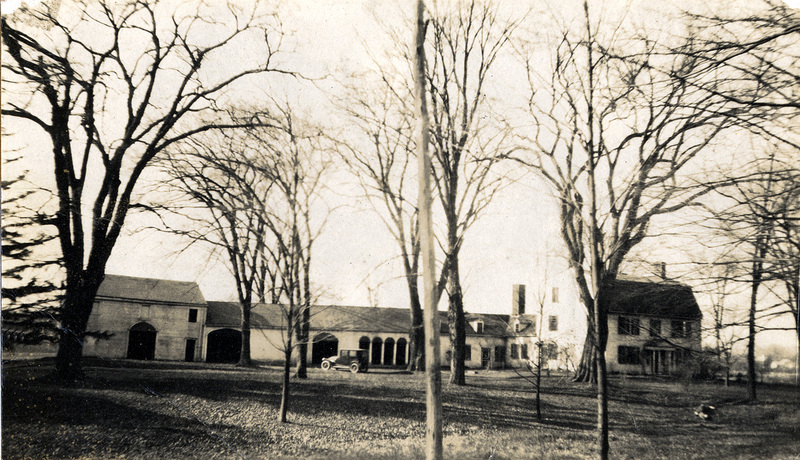 The museum’s reopening for the summer, offering house tours and a variety of cultural events throughout the season, presents a good opportunity to talk about the documentary riches that are found in the papers associated with these Hadley families. The papers, measuring 101 linear feet, are kept here in Archives and Special Collections. They document the history of one extended family over a period of 270 years or eight generations. In the fall of 2011 we mounted an exhibition of Native American materials housed in the Archives & Special Collections to coincide with an extended visit from Fred Hoxie, a specialist in Native American history. Professor Hoxie graduated from Amherst College in 1969 and returned to campus as the 2011 Frost Fellow, sponsored by the Friends of Amherst College Library. While Native American history and culture is not one of our greatest strengths, the collection does contain a few gems. Check out more images from past graduation events here. 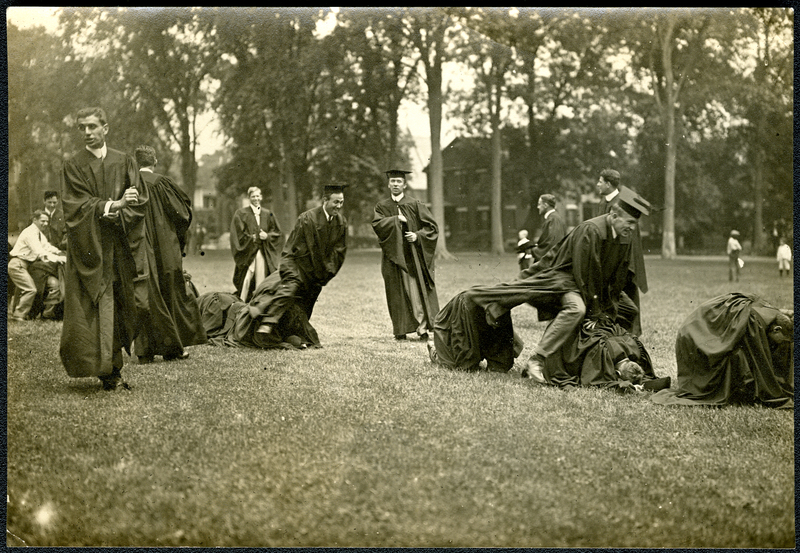 Good luck, Class of 2012, from everyone here in Archives and Special Collections! It’s boating season! What’s more, it’s wedding season. What better way to, yes, marry the happy pair than to examine a timely gift to the Archives and Special Collections of a rare copy of “Mr. 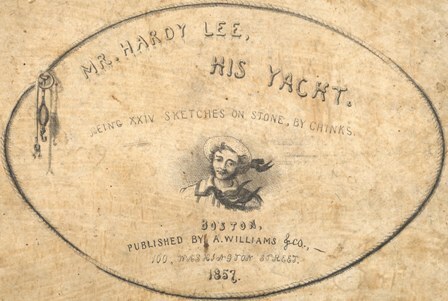 Hardy Lee, His Yacht.” This slender volume is by Charles Ellery Stedman (1831-1905), who published a limited number of copies in 1857. Stedman was a doctor by profession, but he knew his way around a boat and a drawing pad. The book, said to be “the first American book on the sport [of yachting],” contains 24 sketches illustrating how a young man might gain a fortune, a yacht, and a wife, all in one season. 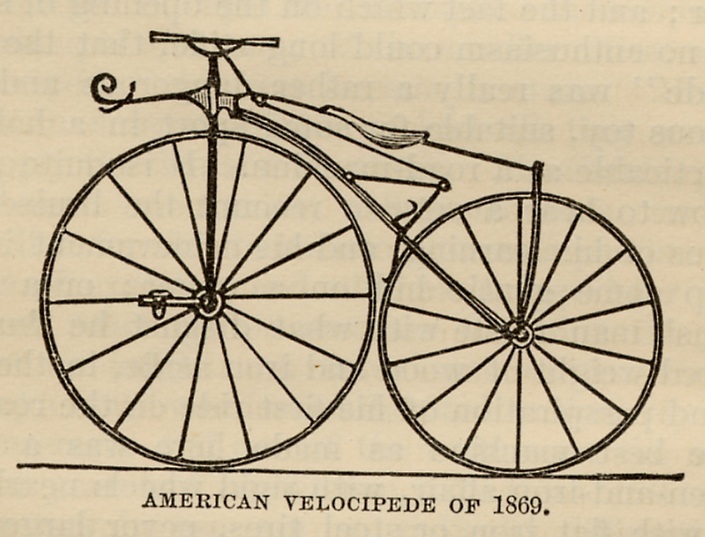 Amherst College’s romance with the bicycle started off in the winter of 1868-69 with the velocipede, a bone-rattling, derriere-damaging, wood and iron contraption. 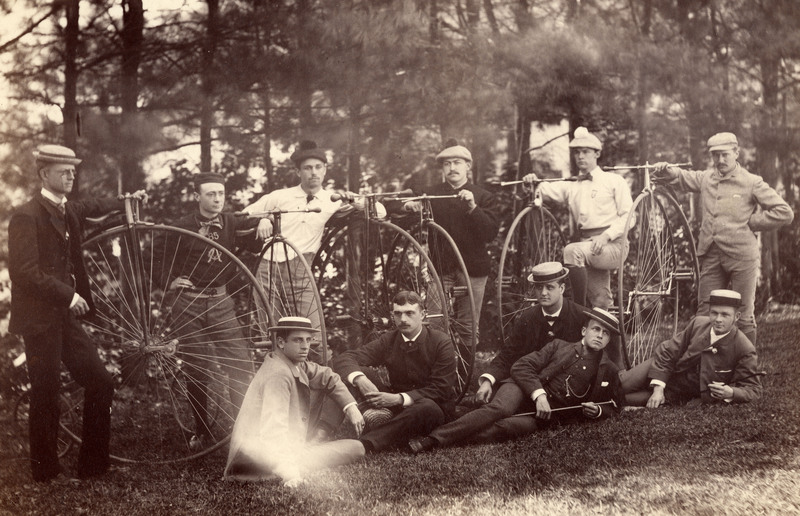 Velocipedes were the hottest of trends in the nation that year.